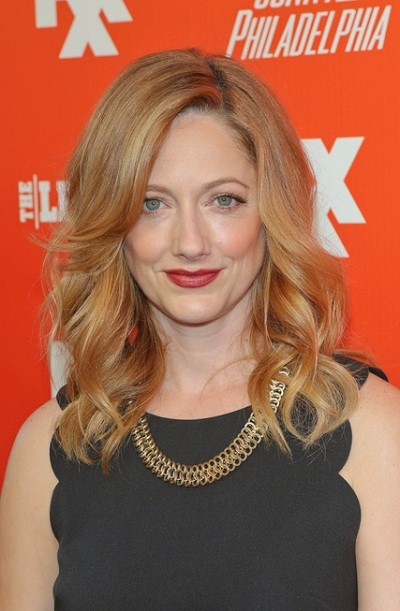 Judy Greer is an American actress and writer. She is married to executive producer Dean E. Johnsen. Judy’s maternal grandfather was John Adam Greer (the son of Guy Eugene Greer and Lucy Mary Vetter). Guy was the son of John Greer and Mary Ann Crooks. Lucy was the daughter of German parents, Adam Vetter and Barbara Getzinger. Judy’s maternal grandmother was Elizabeth H./A. Myers (the daughter of John Theodore Myers and Della Lenora McGuire). John was the son of Theodore Myers and Frances Fetters. Della was the daughter of John McGuire and Marcia Augusta Chambers.